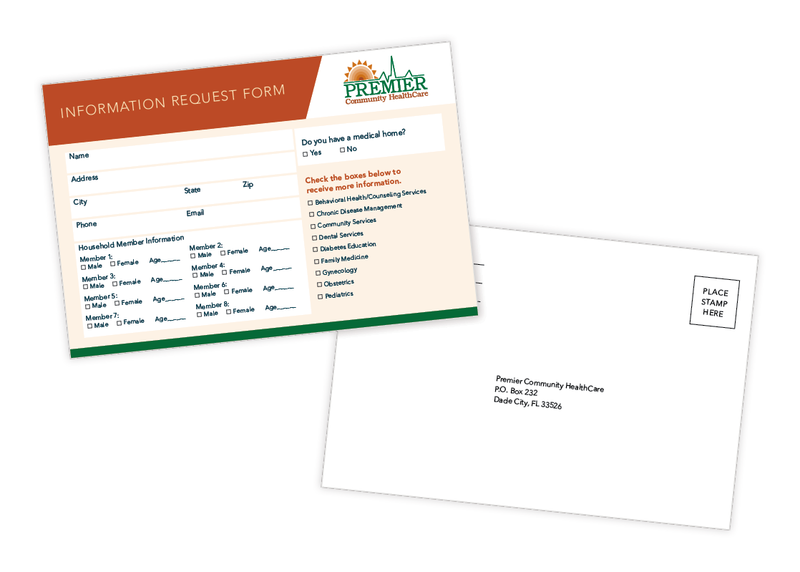 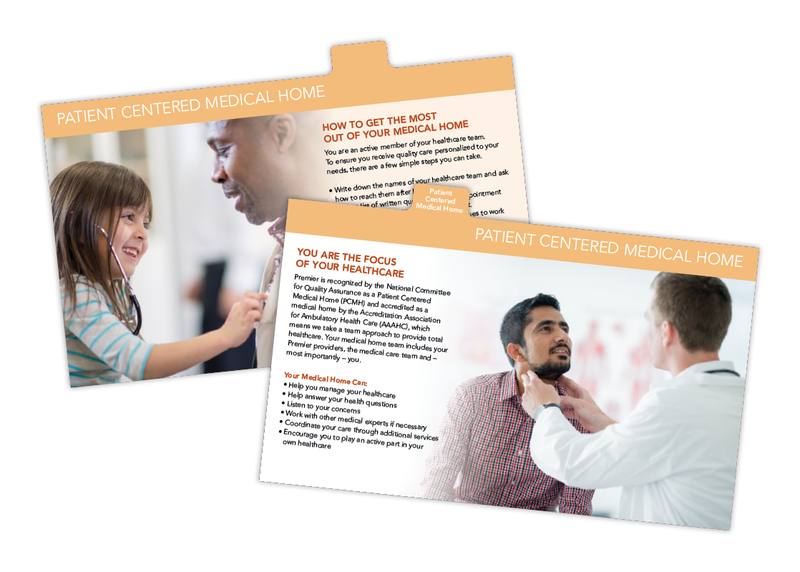 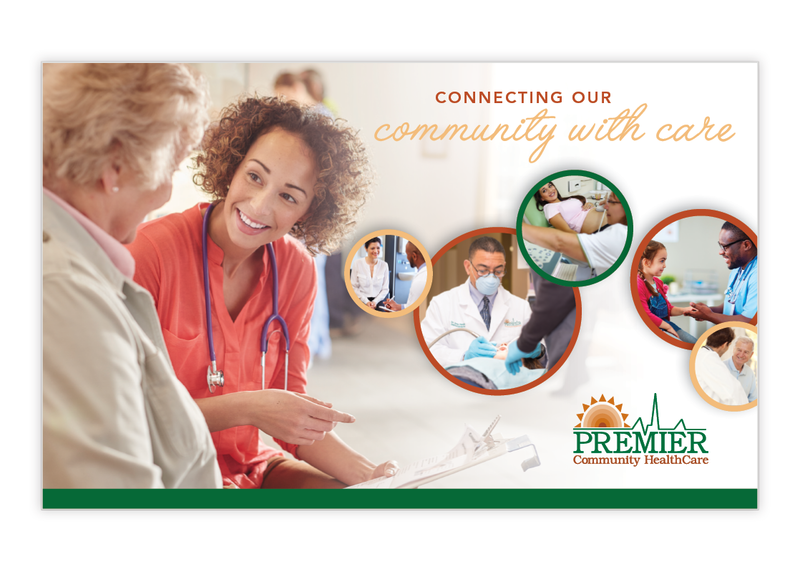 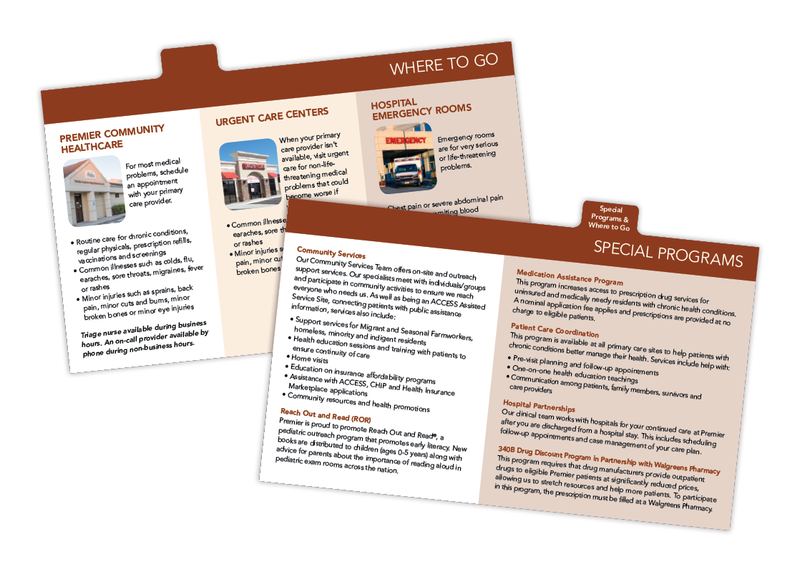 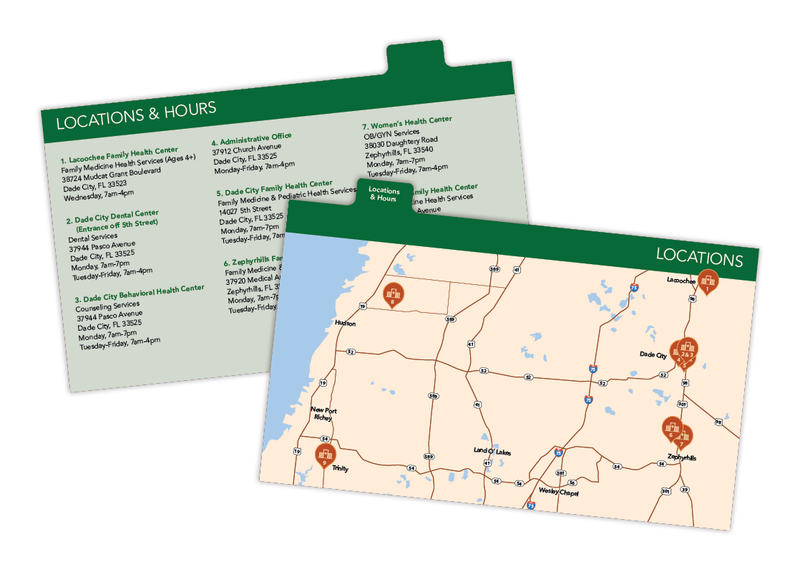 Premier Community HealthCare needed an equally premier piece to welcome new patients and inform them of the healthcare organization’s services, locations and more. 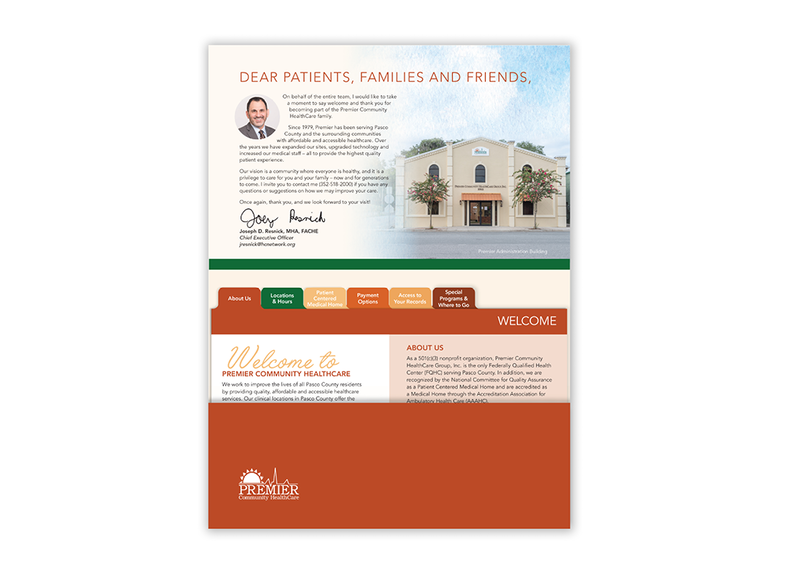 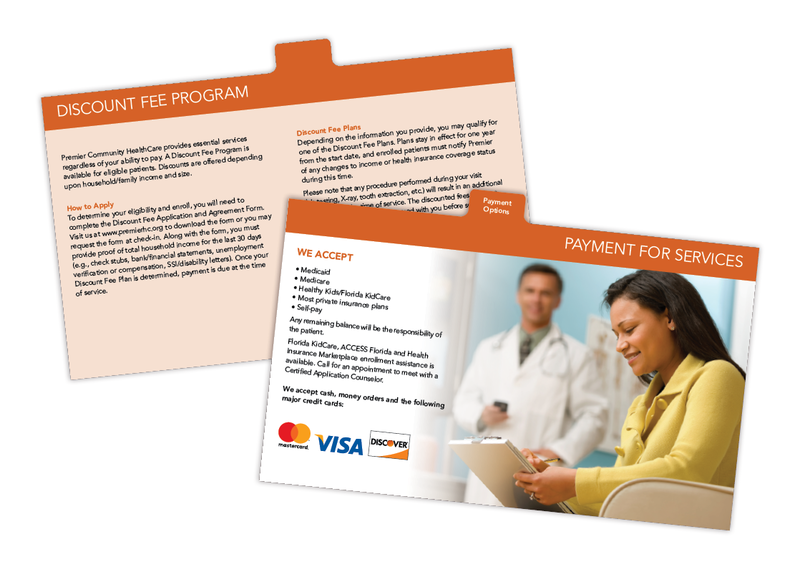 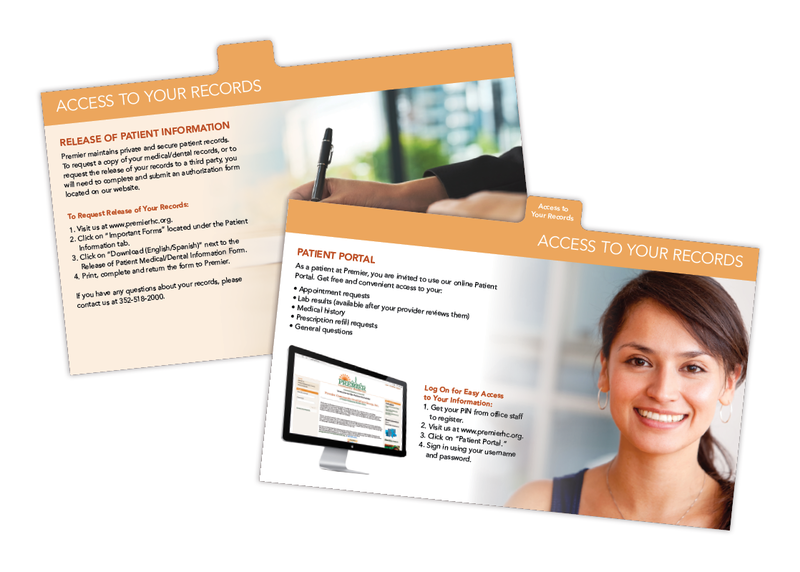 We delivered with an eye-catching folder containing six tabbed inserts and a mail-in response card. 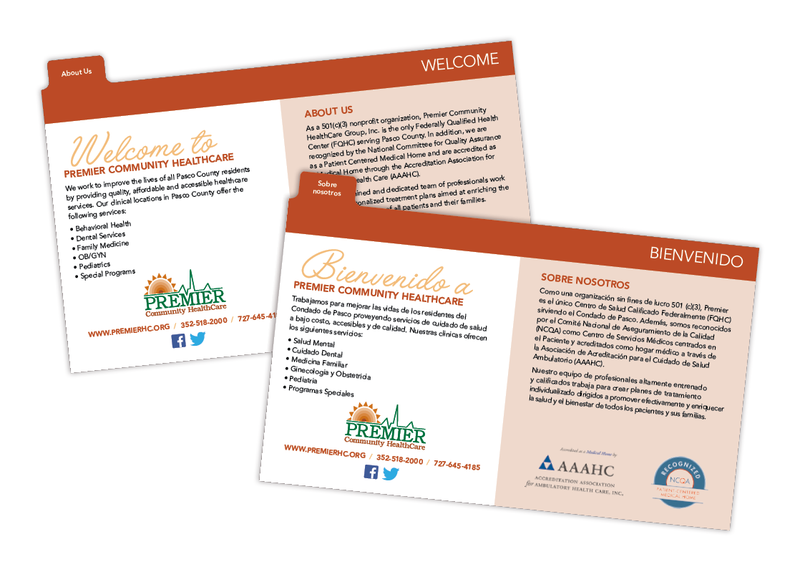 A second version of the piece in Spanish allows the health group to communicate with additional area residents.